SEE ALSO: Will Obamacare be the ‘Pandora’s Box’ of the Neo-Eugenics Movement? We’ve outlined the collusion between Obamacare and the abortion industrial complex this week, but a more obvious outcome to centralized command-and-control government care rationing will surely feature a social profiling mechanism. We also showed the institutional eugenics policies present within Planned Parenthood’s abortion business. Imagine being struck off of the transplant list and sentenced to death at 15 years old – for poor grades in school and ‘prior issues’ with the law. So doesn’t this situation, above any other, smack of racial, or class profiling? Where is the ACLU? Where is Eric Holder and the DOJ? Where is Al Sharpton and Jesse Jackson? Where are MSNBC’s race mobs who looted and smashed windows, and marched with their bags of Skittles and cans of Arizona Wild? Why isn’t President Obama willing to adopt this young boy as his son also? Why not? Because their is no political capital for Washington to extract from this story – only political problems, because it represents the future under Obamacare. Of course, this issue is not actually about race. It could be anyone in this young boy’s shoes – as a victim of health care rationing by a heartless and cruel, centrally managed institutional machine. After initial denial for a spot on a heart transplant list, hospital officials buckled under media pressure and reversed their decision. We expect the media to come to everyone’s rescue in future, when this is happening hundreds of times per day all over America. The only answer is to take the power out of the hands of federal agencies and their ‘preferred contractor’ corporate monopolies. The story of black teenager Anthony Stokes is real, and should give minorities in America who still think the federal government a dose of Obama reality waiting over the horizon for them. 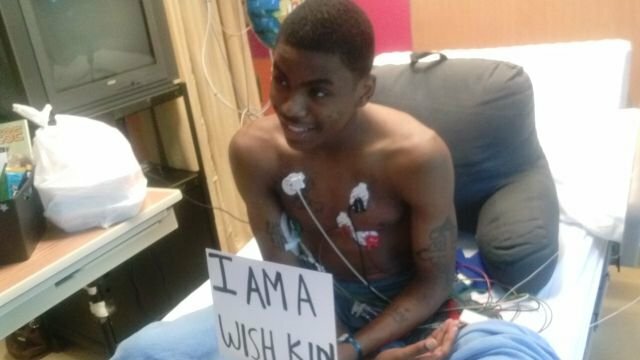 A Georgia teenager in dire need of a new heart was denied a transplant after doctors determined that his history of poor grades and prior issues with the law did not provide “evidence” that he would attend doctor’s appointments or take his medication. Physicians told Anthony Stokes’ family that although he likely has less than six months to live due to an enlarged heart condition, the 15-year-old will not be placed on a transplant list due to concerns that he would not attend necessary medical appointments or take his medication. “They said they don’t have any evidence that he would take his medicine or that he would go to his follow-ups,” Anthony’s mother, Melencia Hamilton, told ABC affiliate WSB-TV. Stokes is currently being treated at the Children’s Healthcare of Atlanta at Egleston hospital and has been there since July 14. Civil rights organizations have taken note of Anthony Stokes’s case, stating that an individual’s past should not impact the quality of medical care that they receive. “He’s been given a death sentence because of a broad and vague excuse of non-compliance,” said Christine Young Brown, president of the Newton-Rockdale chapter of the Southern Christian Leadership Conference (SCLC). The seemingly vague determination that the teen is in “non-compliance” seems to be related to the hospital’s stringent guidelines for individuals placed on life-saving transplant lists.